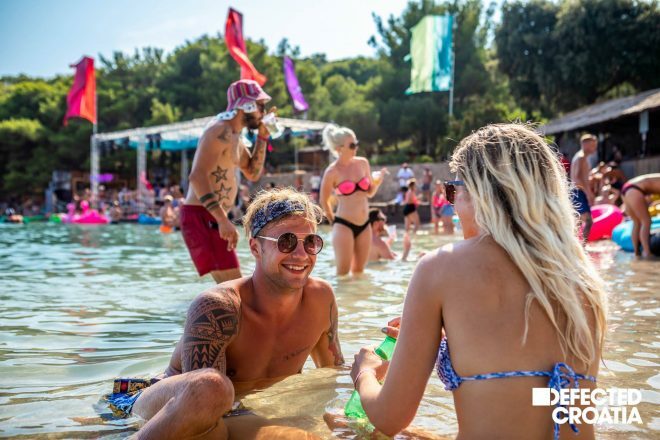 As festival season approaches and the tickets for Defected Croatia 2019 come close to selling out, the line-up for 6 days of house music hedonism on the Adriatic is hitting new heights. Over twenty additional artists have been added to the festival, which is taking place in Tisno, Croatia 8th– 13thAugust 2019. Single day tickets have now been released, so those looking to make a shorter visit can now plan their trips. For this Phase 3 announcement there is an emphasis on live acts, with more singers and performers on the bill than previously in the festival’s three-year history. Some of the newly announced live acts include Amp Fiddler, Dames Brown, Julie McKnight, Lorenz Rhode and Teni Tinks. Some acts are returning after lighting up the site’s main stage in previous years and others join the billing for the very first time. The live aspect adds a fresh take to the festival and will bring to life the euphoric vocal moments that define Defected’s signature style of house music. DJs now added to the line-up include Low Steppa, Nasser Baker, OFFAIAH, Ben Westbeech, DJ Spen and Todd Edwards, covering the full spectrum of house sounds across the stages at the festival. Embracing the likes of Ben Westbeech, a critic’s favourite and one of dance music’s most eclectic and prolific musicians, and Todd Edwards, the Grammy Award winning artist and so-called Godfather of UK Garage, this final line-up indicates the direction of Defected as a label for this year, with new music forthcoming from both artists as well as a string of brand new talent that will also be showcased at the festival. The fourth instalment of the ultimate house festival will be headlined by Armand Van Helden making his festival debut, as well as Derrick Carter, Dimitri From Paris, Eats Everything, Honey Dijon, Nightmares On Wax, Masters At Work, Todd Terry and many more – over eighty artists in total. Phase 3 full festival tickets including Barbarella’s after parties are available now at £229+BF, single day tickets at £49+BF. Group tickets and a deposit scheme are also now on sale, see the Defected Croatia website for all details: defected.com/croatia. Daily line-ups, boat parties and full programme to follow.